Hi All, Hope you all are keeping well. 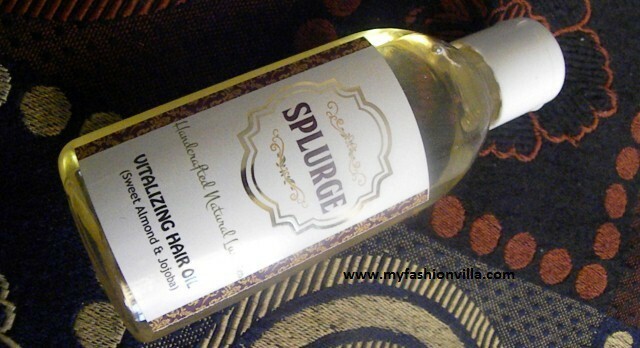 Today I am reviewing a Vitalizing Sweet Almond & Jojoba Hair Oil by a brand called SPLURGE. Actually I had talk with Dr Roma Thadani Who is a founder of this brand “Splurge” and she is certified cosmetic formulator too. She is so kind and sent me this hair oil for review. I am using it since last one month now and today I am sharing my honest opinion with all of you. 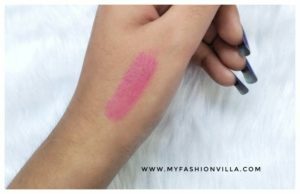 Hope this review will be helpful to all of you. Read ahead. What Dr Roma Says About this Hair Oil? Vitalizing Hair Oil Helps to strengthens your hair & nourishes them. A blend with the best oils nature offers, thus deeply moisturizes your hair & scalp & makes those tresses manageable. How to Apply this Hair Oil? Apply the oil on clean scalp and hair with finger tips. Avoid using your nails on the scalp. Keep it overnight & wash off with a mild shampoo the next morning. Use 2-3 times a week for best results. 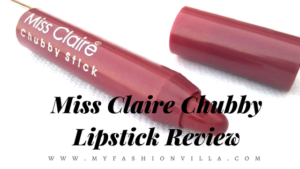 Brand claims no animal testing and no chemicals added. Before I share my review, let me share my hair condition with all of you. As some of you may already know that I delivered a baby boy on 31st Jan. And after that I suddenly noticed hair fall. Somehow I was prepared as I was already warned in advance by my Doctor that this happens after delivery as your hormones try to settle once again like they were before pregnancy. Knowing all these, I decided to have healthy hair care routine for myself after delivery and decided to add Hair Mask and Hair Oil to my regular hair care routine along with shampoo and conditioner. At that time only, This Hair Oil came and I decided to give it try. 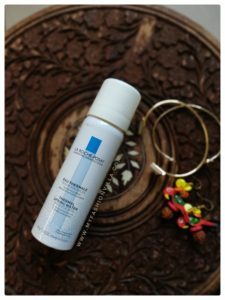 Read my experience with SPLURGE Vitalizing Hair Oil. This SPLURGE Vitalizing Hair Oil comes in a transparent plastic bottle with flip cap to open it. The oil is in yellowish color. The consistency of oil is not so thick and not so runny. It has no fragrance as it is made from pure oils and no artificial chemicals and fragrance added to it. I started with 2 applications in a week with this Hair Oil. I apply hair oil at night on clean scalp and I wash my hairs next day along with hair mask application. I am following this routine since last one month and I am extremely happy with the results I am getting. Hair fall is total in control now and my hair quality has been improved a lot. My hairs got good shine too. I always like to use products with least possible chemicals and this hair oil is one such good product for hairs. The best thing about this hair oil is, I don’t get oil on my face very next morning which usually happens with other oils. So, I strongly recommend this hair oil which has pure oils and no chemicals. Works perfect to strengthen hairs and it improves hair quality too. 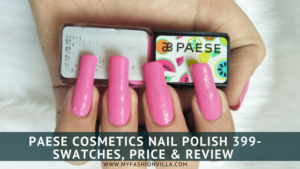 Hope this review will help you all; share your views through comments.